Tonya Skipper LMT, was born and raised in Thomasville, Ga. In 2011 she began her massage therapy career after graduating from The Core Institute in Tallahassee, Fl. That same year she open Massage by Tonya in Thomasville, Ga. Tonya continued her education by studying Medical Massage in 2012 and Myofascial Release in 2015 and Thai Massage in 2018. Her specialties includes, but are not limited to, Therapeutic Deep Tissue Massage, Myofascial Therapy, TMJ Therapy and Sport Massage. Tonya is passionate about educating her clients and empowering them to take control of their own health and well-being. She has a mindful, nurturing touch and a relaxed, professional presence that allows her to work well with a variety of clients. Misty Scully, Esthetician, is a mom of 4 boys, wife and career banker. Her journey to esthetics began after a personal experience led her on the path of wanting to offer others a relaxing environment and services to enrich their experiences. 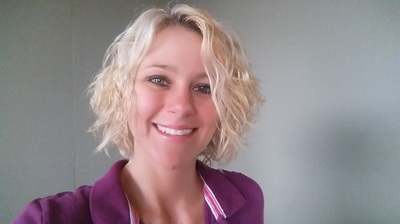 Misty began at Southern Regional in Moultrie in 2017 studying facial treatments, microdermabrasion, chemical peels, waxing, lashes, makeup and more. She enjoys seeing the results in her clients and the overall relaxation they experience.